Badillo made history with his election to the 92nd Congress (1971–1973). The first person born in Puerto Rico to represent a district in the continental United States, Badillo was also the first person of Puerto Rican descent to serve as a voting Member of Congress. Badillo made headlines early in his first term when the Ways and Means Committee, which made committee assignments, rejected his request to serve on the Education and Labor Committee. Badillo was named to the Agriculture Committee instead, a move he deemed “an insult to those I represent.”13 The Democratic Study Group formally protested on Badillo’s behalf, while a delegation of New York City Democrats met privately with Speaker Carl Albert of Oklahoma and Ways and Means chairman Wilbur Mills of Arkansas to recommend reversing Badillo’s assignment. In a highly unusual move, the full Democratic Caucus, with Albert’s backing, named Badillo to the Education and Labor Committee.14 In the 94th Congress (1975–1977), Badillo switched from the Education and Labor Committee to the Judiciary and Small Business Committees. 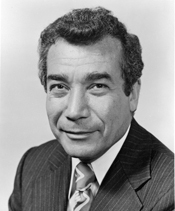 In the 95th Congress (1977–1979), Badillo retained his seat on Small Business but left the Judiciary Committee and joined the Banking, Finance and Urban Affairs Committee, a post of local importance given New York City’s major financial crisis during the 1970s. After his loss, Badillo endorsed Koch, who defeated Cuomo in a runoff and went on to win the general election. On November 29, 1977, Badillo stunned local political observers by announcing that he intended to resign from the House to serve as deputy mayor under Koch. Badillo said his new job, which involved a pay cut, would allow him to implement his agenda and to confront the “unpleasant tasks” that too many politicians avoided.42 “I ran for Mayor because I felt that I had the talents, energies and programs to turn the city around and bring it out of its present crisis,” Badillo said after making known his decision to leave the House. “I lost that race but now the winner has asked me to apply those very talents and energies in a way that will best serve the city. I did not see how I could refuse.”43 The New York Representative officially left the House on December 31, 1977. After his relationship with Koch soured, he resumed practicing law in 1979. In 1986 Badillo attempted to revive his political career, but his run for a statewide comptroller position was unsuccessful. In 1993 he joined Rudy Giuliani’s Republican-Liberal fusion ticket as a candidate for city comptroller. Though Giuliani narrowly won the mayoral election, Badillo lost to New York assemblyman Alan Hevesi. In 1998 Badillo officially switched his party affiliation to Republican. “As a lifelong Democrat, I did not make this decision lightly,” Badillo said later.44 In his last campaign, Badillo lost the Republican mayoral primary to Mike Bloomberg in 2001. After his congressional career, Badillo held a variety of administrative positions and worked as an attorney. Consistent with his long-standing interest in education, he served as a trustee for the City University of New York (CUNY); Badillo served as vice chairman of the board from 1997 to 1999 and as chairman from 1999 to 2001.45 Herman Badillo died at the age of 85, on December 3, 2014, in Manhattan, New York. 1“Running for Mayor, in Perpetuity; Herman Badillo Is Hoping That the Timing Is Right,” 9 May 2001, New York Times: B1. Herman Badillo was an official candidate for New York City mayor in 1969, 1973, 1977, and 2001. He also ran for the office in 1985 and 1993, but withdrew from these races after a short time. 2Matt S. Meier, “Herman Badillo,” Notable Latino Americans: A Biographical Dictionary (Westport, CT: Greenwood Press, 1997): 18–19; Herman Badillo, One Nation, One Standard: An Ex-Liberal on How Hispanics Can Succeed Just Like Other Immigrant Groups (New York: Sentinel, 2006): 9–14, 49–50; “Disputed Bronx Victor,” 4 November 1965, New York Times: 51. 3Herman Badillo, “Graduating to Higher Standards at City University,” Gotham Gazette, http://www.gothamgazette.com/commentary/68.badillo.shtml. 4Badillo, One Nation, One Standard: 15, 22; Meier, Notable Latino Americans: 19; “Puerto Rico Profile: Herman Badillo,” 17 August 2001, Puerto Rico Herald. 5‘Youngest Commissioner,” 17 November 1962, New York Times: 12; Vivian S. Toy, “Irma Badillo, 72, an Organizer for the Equal Rights Amendment,” 18 May 1996, New York Times: 12; “Herman Badillo and Gail Roberts,” 18 August 1996, New York Times: 56. 6Meier, Notable Latino Americans: 20–21; Badillo, One Nation, One Standard: 22–23. 7Peter Kihss, “Badillo Is Victor in Bronx by 2,086,” 9 November 1965, New York Times: 38; Lyn Shepard, “Reform Tide Surges in Bronx,” 25 September 1965, Christian Science Monitor: 2. 8Clayton Knowles, “Badillo Joins Race as ‘Only Liberal,’” 4 April 1969, New York Times: 1. 9Richard L. Madden, “Badillo Innovates in His Diverse District,” 26 August 1971, New York Times: 39. According to the Almanac of American Politics, the district was 34 percent African American and 30 percent Hispanic. Almanac of American Politics, 1972 (Washington, D.C.: National Journal Inc., 1971): 548–549. 10“Congressional Primaries,” 17 June 1970, New York Times: 46; Alfonso A. Narvaez, “Badillo Expected to Be in Close House Race,” 20 June 1970, New York Times: 16. 11Peter Kihss, “Queens Court Voids Victory by Badillo,” 24 September 1970, New York Times: 1; Will Lissner, “Appellate Division Upholds Badillo’s Nomination in 21st District,” 1 October 1970, New York Times: 37; “Top State Court Upholds Badillo,” 8 October 1970, New York Times: 1; Almanac of American Politics, 1972: 549. 12There was no Republican candidate in the 1970 general election; George Smaragdas ran as a Conservative. “Election Statistics, 1920 to Present,” http://history.house.gov/institution/election-statistics/election-statistics/; Murray Schumach, “Ex-Borough Leader Is Facing a Strong Conservative Bloc,” 29 October 1970, New York Times: 50; Richard L. Madden, “Lowenstein Loses Seat in Congress,” 4 November 1970, New York Times: 1. 13Richard L. Madden, “2 in House Upset by Assignments,” 29 January 1971, New York Times: 12. 14David E. Rosenbaum, “Badillo Wins His Battle on House Committee Assignment, but Mrs. Abzug Loses,” 4 February, 1971, New York Times: 21; “Badillo Gains Aid in Transfer Bid,” 3 February 1971, New York Times: 38. 15Congressional Record, House, 92nd Cong., 1st sess. (4 March 1971): 5141. 16“Badillo Urges a $20-Billion U.S. Loan to States,” 5 March 1971, New York Times: 31. 17Gene I. Maeroff, “Delays Reported in Mixed Schools,” 22 May 1971, New York Times: 29. 18Congressional Record, House, 92nd Cong., 1st sess. (4 May 1971): 13344; Richard L. Madden, “Badillo Says U.S. Programs Are Excluding Puerto Ricans,” 5 May 1971, New York Times: 16; “Badillo in Plea for Puerto Rico,” 1 November 1971, New York Times: 30. 19Congressional Record, House, 92nd Cong., 1st sess. (4 May 1971): 13344. 20William E. Farrell, “Puerto Ricans Here Told to Aim High,” 21 December 1970, New York Times: 37. 21Peter Kihss, “Badillo Decries Name for School,” 20 April 1976, New York Times: 9. 22Murray Schumach, “New Congressional Panel Will Investigate City’s Antipoverty Agencies,” 4 April 1971, New York Times: 38. 23“Badillo Innovates in His Diverse District,” 26 August 1971, New York Times: 39. 24Almanac of American Politics, 1976 (Washington, D.C.: National Journal Inc., 1975): 699. 25“2 N.Y. Liberals Battle for Redistricted Seat,” 15 March 1972, New York Times: A12. 26Tom Buckley, “Badillo-Ramos Contest Centers on Who Is More Puerto Rican,” 13 June 1972, New York Times: 45. 27Max H. Seigel, “Badillo-Ramos,” 21 June 1972, New York Times: 29; “Results of Primary Contests in City and Suburbs,” 22 June 1972, New York Times: 46. 28“Election Statistics, 1920 to Present,” http://history.house.gov/institution/election-statistics/election-statistics/. 29The bilingual education amendment proposed by Badillo enjoyed majority support in the Senate. For background and a personal reflection of the events surrounding the legislation, see Badillo, One Nation, One Standard: 59–63. For a comprehensive summary of the Elementary and Secondary Education Amendments, see Congressional Quarterly Almanac, 1974 (Washington, D.C.: Congressional Quarterly, Inc., 1975): 441–474. 30Stephen Isaacs, “Rep. Herman Badillo and His Strange Bedfellows,” 14 November 1971, Washington Post: 2. 31Martin Tolchin, “Badillo and Biaggi Staffs Toil On,” 31 May 1973, New York Times: 36. 32See, for example, Badillo’s stance on unemployment, Congressional Record, House, 92nd Cong., 2nd sess. (2 March 1972): 6689–6690. 33For background on Badillo and the prison riots, see Les Ledbetter, “Badillo Asks Prison School Aid and Union Rights for Convicts,” 23 May 1972, New York Times: 20; Fred Ferretti, “Badillo Decries Attica ‘Inaction,’” 2 December 1971, New York Times: 61. Based on his membership in a citizens’ observation group brought to Attica at the inmates’ request, Badillo coauthored A Bill of No Rights: Attica and the American Prison System (New York: Outerbridge and Lazard, Inc., 1972). 34Stephen Isaacs, “Beame Wins N.Y. Mayor Runoff,” 27 June 1973, Washington Post: A23; Frank Lynn, “Winning Edge 3–2,” 27 June 1973, New York Times: 113. 35There was no Republican candidate in the 1974 general election; Mary Lynch ran as a Conservative. “Election Statistics, 1920 to Present,” http://history.house.gov/institution/election-statistics/election-statistics/; Allan M. Siegal, “Republicans Offer Little Opposition for Congressional Races in the Bronx,” 22 October 1974, New York Times: 32. 36Nancy L. Ross, “Badillo Bill Would Ease City Bankruptcy Filings,” 1 October 1975, Washington Post: D1. 37Congressional Record, House, 94th Cong., 1st sess. (9 December 1975): 39413. 38Badillo cosponsored the bankruptcy legislation, Public Law 94-260. According to the New York Times, Badillo was a principal author of the measure, which was sponsored by Representative Peter Rodino of New Jersey. Martin Tolchin, “Ford Signs Law to Ease Municipal Bankruptcies,” 10 April 1976, New York Times: 30. 39David Vidal, “Badillo Will Run Again, in ‘Most Important Race,’” 16 June 1976, New York Times: 20. 40“Election Statistics, 1920 to Present,” http://history.house.gov/institution/election-statistics/election-statistics/. 41“Other Winners, Other Losers,” 10 September 1977, New York Times: 20; Frank Lynn, “Beame Finishes Third,” 9 September 1977, New York Times: 1. 42Lee Dembart, “Why Did Badillo Give Up Seat?” 30 November 1977, New York Times: 31. 43Maurice Carroll, “4 Appointed by Koch to Be Deputy Mayors; Equality Is Stressed,” 30 November 1977, New York Times: 50. 44Badillo, One Nation, One Standard: 174. In his book One Nation, One Standard, Badillo devotes an entire chapter to his gradual shift from the Democratic to the Republican Party: “From Kennedy Democrat to Giuliani Republican”: 139–175. Alison Mitchell, “Green Wins Nomination for Advocate Post–Dinkins Has 68%,” 15 September 1993, New York Times: A1; Bumiller, “Running for Mayor, in Perpetuity; Herman Badillo Is Hoping That the Timing Is Right”; Adam Nagourney, “Badillo Is Said to Be Switching to the Republicans,” 25 June 1998, New York Times: B1. 45Karen W. Arenson, “With Badillo Gone, CUNY Is Likely to Stay on Course He Set,” 6 June 2001, New York Times: B4; Tracy Tully, “Badillo to Run CUNY Board, Eyes Shakeup,” 30 May 1999, Daily News (New York): 2. Oral History: 1976, 34 pages. The interview includes reminiscences of Herman Badillo's childhood, education including college and law school. Also covered are his roles as a New York City Commissioner, Department of Housing and Relocation, Bronx Borough President, and United States Congressman. Also includes Herman Badillo's observations on New York City politics in the 1960s and 1970s. Access to the interview is currently closed. A name index is available to the interview. Oral History: 1994, 34 pages. The interview covers Herman Badillo's education and political career, his experience as Commissioner of Housing and Relocation, view on urban renewal, poverty programs, and the educational system in New York City. An index is available to the interview. Papers: 1 letter (August 4, 1966) in the Mobilization for Youth collection. Official correspondence. Finding aid in repository. Papers: In the National Union of Hospital and Health Care Employees Records, 1975-1976, 66 pages. Subjects covered include Herman Badillo and hospital unionization. Papers: In the Deputy Mayor for Policy Records, 1979, 10 cubic feet. Includes correspondence and reports from when Herman Badillo was Deputy Mayor of New York City. Papers: In the New Democratic Coalition of New York, 1960-1978, 49 cubic feet. Persons represented include Herman Badillo. A finding aid is available in the repository. Videocassettes: 1973-1986, 3 reels (13 commercials). Commercials used during Herman Badillo's campaign for the 1973 mayoral election in New York, Democratic Party. Allyn, Paul, pseud. The Picture Life of Herman Badillo. Illustrated with photos. William Loren Katz, consulting editor. New York: F. Watts, 1972. Badillo, Herman. Plain Talk: The Politics of Administration. Greenvale, N.Y.: Department of Health and Public Administration, C.W. Post Center, Long Island University, c1981. ___. One Nation, One Standard: An Ex-Liberal on How Hispanics Can Succeed Just Like Other Immigrant Groups. Foreword by Rudolph W. Giuliani. New York: Sentinel, 2006. Badillo, Herman, and Milton Haynes. A Bill of No Rights: Attica and the American Prison System. New York: Outerbridge and Lazard, Inc., 1972. Ralph Nader Congress Project. Citizens Look at Congress: Herman Badillo, Democratic Representative from New York. Washington, D. C.: Grossman Publishers, 1972. "Herman Badillo" in Hispanic Americans in Congress, 1822-2012. Prepared under the direction of the Committee on House Administration by the Office of the Historian and the Office of the Clerk, U.S. House of Representatives. Washington: Government Printing Office, 2013.